Welcome to my reviews of the best binaural beats and isochronic tones. 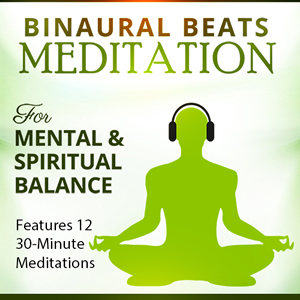 The best binaural beats and isochronic tones are listed on this page. 1 Welcome to my reviews of the best binaural beats and isochronic tones. But before giving you my recommendation of the best binaural beats and isochronic tones available, it’s probably worth briefly explaining what they are and how they are used. It is well understood that neurons in the brain constantly emit electrical signals in order to communicate with each other. The resulting brain activity of millions of cells communicating at once can be read by an EEG recording machine. It is called a brainwave pattern, recorded in the number of cycles per second, or Hz. It is accepted that our state of mind is dependent on the pattern of our brainwaves at any particular time and our moods can be predictable if we expose ourselves to a particular brainwave pattern. For example, if an EEG machine shows your brain is emitting a 10Hz signal, you are going to feel relaxed and creative and if it shows a 2Hz signal you’re likely to be in a deep sleep. Brainwave patterns affect our state of mind and we feel at various times wound up, relaxed, calm, sleepy or intuitive depending on the brainwave frequency being experienced at that time. But it can work both ways – if we deliberately adjust our brainwave frequencies it can actually put us in a particular state. So it should be our goal to spend as much time at healthy, beneficial frequencies. That appreciation is the major reason that millions of people around the world practice meditation every day. But getting good enough at meditation to be able to change your brainwaves isn’t easy and can take a long time. A practice called Brainwave Entrainment aims to deliberately cause your brainwave frequencies to align with the frequency which corresponds to an intended brain state, for example to induce sleep, or concentrated effort. Binaural Beats, Isochronic Tones and Monaural Beats are all sounds and are part of Brainwave Entrainment. The best binaural beats and isochronic tones can provide an effective and targeted shortcut to years of non supported practice. Binaural beats are tones of a different frequency delivered to each ear through headphones the force the brain to perceive a third tone. If we pipe 410Hz in one ear and 400Hz in the other, the brain will ‘hear’ a third tone of the difference ie 10Hz and you should feel calm, relaxed, a bit dreamy and more creative. Human hearing can’t easily hear sounds below 20Hz (which is where the beneficial beats) so this is a great way to do it. Isochronic tones are computer generated fast audio pulses that gently entrain your brain to the required brainwave frequencies. They have been proven to be the most potent sound entrainment available – more potent than the best binaural beats – and just become more powerful when they are combined with other entrainment methods. Importantly, headphones are not required to get the benefit. See my more detailed article on Binaural Beats and Isochronic Tones here. So let’s explore briefly my recommendations of the best binaural beats and isochronic tones for particular purposes. Note: It is a common that people who are looking for brainwave entrainment actually search for binaural beats which are a subset of brainwave entrainment. So that researchers looking for brainwave entrainment can find my advice, I have therefore labelled my headings, for example, best binaural beats for meditation, whereas I mean, the best brainwave entrainment for meditation. The product recommended may actually use binaural beats or isochronic tones, or a combination of both, but please be assured it is the best product I have found for that purpose. 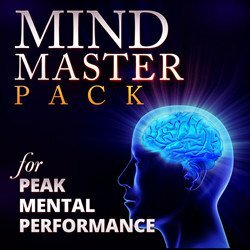 If you are looking for a program that will train your mind to be able to get into peak performance any time you want it to, then you should consider the Brain Evolution System, also known as Brainev. It can be considered a training ground for your mind and can help you develop a sharper and more focussed mind. All you need to do is put on a pair of headphones and relax somewhere you won’t be disturbed for 30 minutes as you listen to the sounds in the audio file. One thing that makes this program different from the others is that it uses three different types of entrainment – binaural beats, isochronic tones and temporal entrainment. The producers say the combination provides more benefit than any single method. It’s a six month program and you only need to listen to a single 30 minute session each day to get the increasing benefits it can offer. The levels start to train the brain gently by using frequencies that the brain can quickly and easily entrain to. The listener experiences meditation, helped by entrainment. Each month you move on to the next level and it takes you into deeper brainwave states than the previous month. There is also a level 7 Brainev you can get separately for people who have completed the first six levels. You can try level 1 for free (but that doesn’t get you the best price) and there is a seven month money back guarantee so there is no risk in trying it if you think it is something you might like. Click here to find out more from the manufacturer. One of the more popular uses for brainwave entrainment is to bring out the massive benefits of meditation without the effort of spending years and years practicing before you begin to see gains. Longer-term benefits are increased brain power, health gains, greater inner peace and serenity, higher stress threshold and emotional mastery. But many people don’t meditate because they can never quieten a busy mind, can’t find the time, are impatient about getting results or just can’t focus on the practice. Zen 12 uses superior isochronic tones and claims that its’ special tiny audio pulses influence your brainwave patterns to guide you into a deep meditative state, even while you remain awake. You don’t have to focus, concentrate or even try to meditate. You just listen, and let Zen12 give you the benefit of an hour’s meditation in 12 minutes. Zen 12 comes as a 12 month program and each month you shift up to the next level, which either holds you at the required frequency for longer, or takes you deeper. If you are new to meditation, start at the beginning. If you have some experience, try a higher level and see how it feels. You get a choice of 4 different backgrounds, depending on how you like to meditate. There is relaxation music, sounds of nature, white noise to help block out background distractions and even a spoken guided version within each level. Experiment with them and pick the one you like best. You can try level one for free or dive right in and order the full 12 levels! There is a full 12 MONTH money back guarantee so you know they want you to be satisfied and you really can’t lose. I have been working through Zen 12 and feeling the benefits so I can fully recommend it as the best binaural beats for meditation. There seems to be a lot of focus these days on mindfulness and meditation, and it’s easy to understand why. We live such fast lives between our work, perhaps looking after kids, social media, tv etc that we rarely have time to reflect. We get to the end of the day and it’s often just a bit of a blur. We lived the day without really realising it. Mindful meditation can help to relieve this stress but one of the problems is we need to find the time to do it and for us to keep up the practice it has to be easy. Binaural beats can be really helpful with mindfulness because they can quickly put your mind into the right state to slow down and accept suggestions. One of the simplest and easiest binaural beats for mindfulness programs I have come across so far is 7 Minute Mindfulness. It is a package to help you get more out of life by simply being more present as you live it. 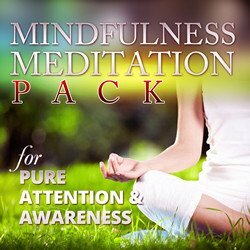 It consists of 10 7 minute guided meditation audio tracks backed by binaural beats and a 181 page ebook which explains mindfulness and how to use the program. You also get some bonuses including a book of mindfulness exercises and the audio version if you are an audio learner rather than a visual leader. And you will find the price for this simple but powerful package very pleasantly surprising! Research in Gamma waves lagged behind the others for many years. But this is being remedied now as the fabulous benefits of spending time in Gamma is starting to be understood more. One of the huge benefits of Gamma is that while in that state we are able to link information not normally available at the same time. While in Gamma we can see the whole picture and often gain insight and achieve ‘aha’ moments. In a nutshell, spending time in Gamma can boost your brainpower! Benefits include improved memory power and recall, more feelings of happiness and empathy, greater ability to focus and much more! Gamma binaural beats mp3s can beneficial to most people. People who naturally experience a lot of this state are usually very intelligent, empathic and happy. “Get more done in less time!” is the bold claim of this program. I work as an Accountant and spend a lot of my day at my computer. I am always looking for ways to improve my productivity and upon came this program almost by accident. Nitrofocus is a collection of mp3s that mix superior isochronic tones with distraction-blocking background sounds to activate high Beta brainwaves, frequencies associated with heightened focus and greater productivity. When you listen to the Nitrofocus tracks, your brain starts to copy those frequencies and puts you in a state of concentration and extreme productivity. Nitrofocus can help you increase productivity, sharpen focus, improve study results and blast through your work. You can try Nitrofocus for free, which is what I did. After signing up you will be sent a copy of their most popular track, Nitrofocus Classic, as well as their 5 Minute break track and a pdf user guide. Listening to the tracks through headphones wasn’t really an option at work, but Nitrofocus works if played through speakers so I got a half decent pair of speakers and set them up at the side of my laptop. As soon as I tried it, I felt the benefit. I play it just loud enough not to annoy other people and I found that the rhythmic pulse of the track led me into an extremely focussed state and I was, literally, able to move through my work very quickly without being distracted. After a week, I upgraded to become a VIP customer and downloaded a further 10 Nitrofocus sessions, 4 of which are the same tones as the Classic but with different background music to suit your mood depending if you want to listen to, for example, a relaxing Ocean sound or work out to fast paced synth music. Other concentration building tracks are Focus Gym, Brain Booster and Analytical builder. Memory Commit helps retain information after studying and Anxiety Reducer does exactly what it says on the tin. Finally, 10 Minute break gives a deeper relaxation than 5 Minute break and can lead to a power nap. Not all the tracks can be played over speakers so I have now settled into a great routine which really works for me. On alternate work days I first listen to Focus Gym or Analytical builder, then Nitrofocus Classic until lunchtime. I relax at lunch with 10 Minute break and then mostly listen to Nitrofocus Classic through the afternoon. At the weekend I listen to Brain Booster on one or both days and then take a break. After over two year’s use of Nitrofocus, I fully recommend it as the best binaural beats for concentration. Try it for free and decide for yourself. Lack of sleep is extremely debilitating and can lead to a long list of problems associated with insomnia such as irritability, memory loss, increased risk of diabetes and heart disease, increased heart rate and impaired judgement. Brainwave entrainment is ideally suited to helping with sleep problems as listening to the tones will gradually entrain the brain down from a waking Alpha state to the frequencies that occur naturally during deep sleep and within people who sleep well. The Sleep Salon is my recommendation for sleep and guarantees you the best night’s sleep ever or they will give you your money back. It consists of 12 brainwave mp3 sessions which use superior isochronic tones. All you have to do is pick the one most suited to the type of insomnia you are experiencing and play it over open speakers as you try to go to sleep. This is a definite advantage over sleep binaural beats programs which need you to listen through headphones – who can sleep while wearing headphones? You can get headband type headphones but there is some impracticality there too. The tones you hear are very powerful and completely safe. They just improve on what the brain does naturally and will quickly calm your mind and lead you down into a sleepful state. Say goodbye to sleepless nights lying awake looking at the ceiling. You’ll awaken in the morning fresher, happier and less stressed. You will be more awake and alert during the day and will enjoy a stronger immune system. 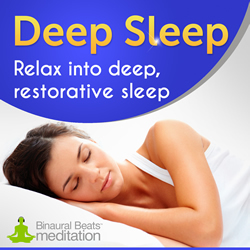 The Sleep Salon provides, without doubt, the best binaural beats for sleep and comes with a 30 day risk-free guarantee so you can try it in safety. If you’re not as successful right now as you would like to be, it’s easy to feel down and start to think that you’re never going to be successful, things work against you etc. You might be in a place where you feel low, that nothing will work and you procrastinate and jump from one activity and emotion to another. It is at this time that you need to be reminded that it is important to remain positive and motivated towards any goals you have set for yourself. The Zenmind Affirmations program will help you do just that and guide you in the right direction. This system, by Swedish personal development coach Thomas Di Leva, is designed to be the ultimate positive affirmation system and to turn around your whole mindset in 30 days. It consists of 7 modules which each take about 25 minutes to complete. The softly spoken positive affirmations are read to relaxing background music and will be accepted deeper in your mind through the use of Zenmind’s brainwave technology. These modules use both the best binaural beats that can be generated today and isochronic tones, a newer form of brain entrainment which many find to be more powerful than binaural beats alone. They are mixed together to creat a more powerful experience and the frequencies used in each module have been carefully chosen to suit the core message of the module. There is an eigth module, Delta Super Booster which contains all the subliminal affirmations from the other modules and is intended to boost intuition, clarity and focus. The audios also come with a version where the affirmations are recorded subliminally, ie they are recorded below the level at which your ears will hear, but your subconscious mind hears and takes notice of it all. Implementing the system and allowing the affirmations to become part of your mindset will clear your mind from doubts that may have settled and will give you a new confidence and direction. When you listen to the modules the brainwave entrainment will relax and calm you and the affirmations will become part of who you are. You will experience a renewed self belief and an unwavering confidence. You will be relaxed and generate an aura of happiness. Your personal and business relationships will become more fulfilling and you can get on with working towards your goals with the feeling you know why you are striving for them. You might be thinking this all sounds a bit new age, and you may be right. But what if works? You will still get the benefits! 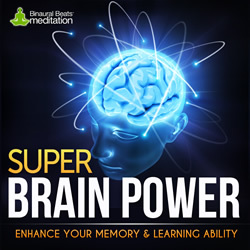 It provides the best binaural beats for motivation and personal success. You get a free demo track to try it out or try the whole program risk-free as there is a full 60 day money back satisfaction guarantee. Genius Brain Power (GBP) is a package of over 30 brainwave entrainment tracks, totaling over 20 hours of the most powerful, effective brainwave entrainment technology available today. The producer of GBP put the program together to combat the foggy and unfocussed thinking that our fast paced world has trained us to do. We often spend part of our day jumping from one thing to another, unfocussed and not really achieving much. His program wakes up the dormant parts of your brain so you experience performaing at a higher, genius, level and claims to be the ultimate self mastery tool. By combining the different tracks you will be able to entrain your brain for any purpose or result that you wish to achieve. Actually, though, GBP doesn’t use binaural beats because Cameron, the producer of GBP, believes that the brain can get used to binaural beats over time and they become less effective. He used isochronic tones which are computer generated pulsed beats that easily guide your brain to the required frequencies. He says that the effect will not diminish over time and the mp3s will continue to train and improve your brain into the future. GBP can be used to dramatically increase your brain’s processing power, release stress, worries and anxiety, increase energy levels, quickly learn new information and skills, experience deeper and more restful sleep, and attain deep levels of relaxation and meditation easily. So as to give you variety and flexibility, most of the modules are available in differing lengths and you can choose between several backgrounds to suit your moods. Backgrounds include classical music, relaxing rainfall and didgeridoo music. The program is very competitively priced for such a large variety and volume of recordings and there is a six months money back guarantee to make sure you are completely satisfied with your purchase. I rank it the best binaural beats therapy because of the wide range of tracks available which cover all likely scenarios where you might need support. These are my thoughts on the best binaural beats available today. I hope you enjoyed reading it. If you did, please consider leaving a comment – it would be great to hear from you. Or leave a comment on the Binaural Beats Guru Facebook page.